Even in the world’s greatest food-producing nation, children and adults face poverty and hunger every day. TL Connects wanted to take some time this holiday season to give back and help those in need. We were lucky enough to have the opportunity to volunteer at Second Harvest Food Bank of Middle Tennessee today. Second Harvest Food Bank of Middle Tennessee is an incredible organization who serves food pantries, soup kitchens, shelters, senior centers, group homes and youth enrichment programs in 46 counties throughout Tennessee. Just in Middle Tennessee, 13.8% of residents are food insecure meaning they have limited access to enough food to live a healthy lifestyle. Nearly 1 in 5 children and 1 in 7 adults struggle with food insecurity in the local 46 county area Second Harvest serves. 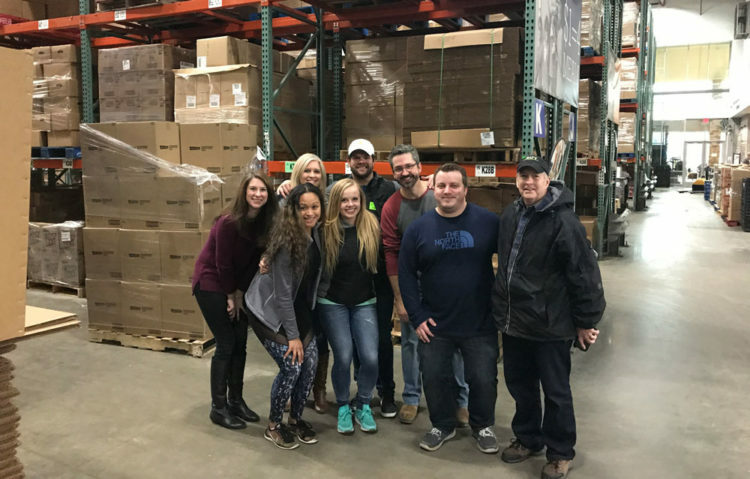 Second Harvest is taking on the challenge to feed hungry people and work to solve hunger issues in their community and we were so happy to offer our time to help them achieve their goal! We spent the day building boxes, inspecting food, sorting and then packing the items to be distributed to the local food banks. Even though we were working in a 40 degree cooler, we had so much fun as a team! We were driven to get as many boxes packed in our 3 hour allotted time as possible! When we finished, we were happy when they let us know our team sorted & packed 11,000 pounds of food which equates to 9326 meals provided to those in need! It was an incredibly rewarding experience for all of us and we highly recommend volunteering at your local food bank to help those in need! To find a food bank near you, please visit: http://map.feedingamerica.org/. We want to thank Second Harvest for the opportunity! We look forward to continuing to be involved with this organization moving forward and continuing to give back to our community.